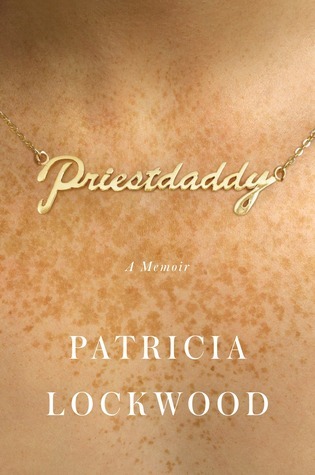 The childhood of Patricia Lockwood, the poet dubbed "The Smutty-Metaphor Queen of Lawrence, Kansas" by The New York Times, was unusual in many respects. There was the location: an impoverished, nuclear waste-riddled area of the American Midwest. There was her mother, a woman who speaks almost entirely in strange koans and warnings of impending danger. Above all, there was The childhood of Patricia Lockwood, the poet dubbed "The Smutty-Metaphor Queen of Lawrence, Kansas" by The New York Times, was unusual in many respects. There was the location: an impoverished, nuclear waste-riddled area of the American Midwest. There was her mother, a woman who speaks almost entirely in strange koans and warnings of impending danger. Above all, there was her gun-toting, guitar-riffing, frequently semi-naked father, who underwent a religious conversion on a submarine and discovered a loophole which saw him approved for the Catholic priesthood by the future Pope Benedict XVI - despite already having a wife and children. When the expense of a medical procedure forces the 30-year-old Patricia to move back in with her parents, husband in tow, she must learn to live again with her family's simmering madness, and to reckon with the dark side of a childhood spent in the bosom of the Catholic Church. Told with the comic sensibility of a brasher, bluer Waugh or Wodehouse, this is at the same time a lyrical and affecting story of how, having ventured into the underworld, we can emerge with our levity and our sense of justice intact.